Under Theo Epstein and Ben Cherington, the Red Sox always avoided arbitration hearings with their players. They viewed the potential hearings as unproductive, which remains true. Think about it - the two sides generally agree the player is going to be with the team the following season. The only dispute is how much he will be paid. So then who benefits from a process in which a team representative argues, in front of the players representative, why that player is not worth as much as he thinks he is? Thus, if an agreement is within reach, Boston's motto has been to reach for it and rightfully so. 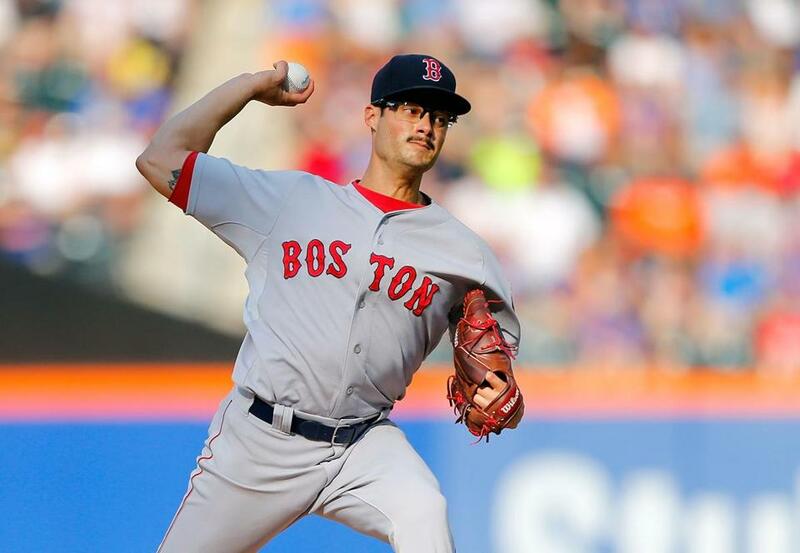 Dave Dombrowski is expected to continue the team's 13-year tradition of avoiding arbitration, and he came one step closer by signing Joe Kelly to a one-year, $2.6 million contract. The 27-year-old earned approximately $603,000 last year. This the first of three years of arbitration for Kelly. As I recently explained in a Spring Training preview for the Red Sox starting rotation, Kelly finished the 2015 season by going 8-0 with a 3.00 ERA over his final nine starts. His performance provided the front office with enough confidence to slot him in as the number five starter for 2016. MLB Trade Rumors projected his year one arbitration value to be $3.1 million, so it appears Boston obtained value in their agreement with Kelly, who the organization and fan base hopes can continue the level of talent he demonstrated over his last 51 innings of the 2015 season. However, Dombrowski and the Red Sox are not done. In order to avoid an arbitration hearing next month for the 14th straight season, they must agree to one-year deals bullpen members, Junichi Tazawa and Robbie Ross Jr.
For Tazawa, this will be his final year of arbitration. In his first, he earned $1,275,000, and in his second, he earned $2,250,000. According to MLB Trade Rumors, he is projected to receive $3.3 million for 2016, with the team reportedly offering him $2.7 million. Based on the Red Sox opening offer, it appears the team is seeking a lower increase than normal and that is likely a result of Tazawa's 2015 season, which was by all accounts the worst of his young career. Not only did he account for seven losses, but his 4.14 ERA was over a full run higher than it was in 2014 (2.86) and a run higher than it was in 2013 (3.14). Tazawa also saw his innings total and strikeout rate drop last year. However, given his successful track record, his relatively young age and arm and the fact Boston needs all the help it can get in the bullpen, the two sides will come to an agreement. I predict the final figure will be $3.1 million. For the 26-year-old Ross, this is his second season of arbitration. Last year, he earned approximately $566,000. Ross was one of the few bright spots in the Red Sox bullpen last season. Ross appeared in 54 games, pitched 60.2 innings, surrendered 59 hits and finished with a 3.86 ERA. He also did his job, being specifically tough on lefties, who hit only .224 off him. As it stands, the bullpen is heavy on right-handed pitchers and it is therefore likely Boston will want to avoid arbitration with the left-hander, especially when you consider the improvement he showed as the season progressed. MLB Trade Rumors projects he will earn approximately $1.1 million in arbitration and I predict the two sides agreeing to a figure slightly under that. Continue to check-in with RedSoxLife.com for further updates on the Red Sox negotiations with Tazawa and Ross.